In this episode Naomi and Eliot going to talk about requesting an IELTS rescore. And don’t forget to check out How to Contest Your IELTS Score! Naomi: Welcome to the Magoosh IELTS Podcast! This is Episode 21. In this episode, we’re going to talk about requesting an IELTS rescore. Eliot and I will discuss the rescore process– how you can ask the IELTS to consider changing your score, and your chances of success. 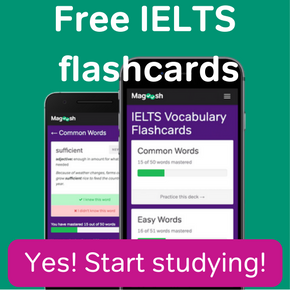 Visit IELTS.Magoosh.com for more great resources to improve your IELTS band score. 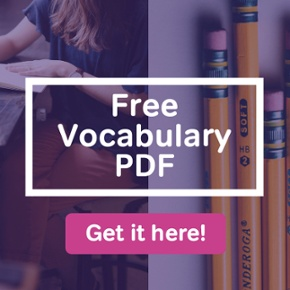 Use coupon code “ieltspodcast” to save 20% off your IELTS test prep! A lot of IELTS students wonder how often rescore requests are successful. But, Eliot–for those who may not be familiar with the rescore process, what is a rescore? Eliot: That is a good place to start, Naomi. A rescore is a process where someone can ask the IELTS to review their score, and possibly change the score. The details on how to request a rescore can be found in the Magoosh IELTS Blog post “How to Contest Your IELTS Score.” I’ll put a link in the show notes. Naomi: Wow! It’s good to have that option, for sure. Now, I know that on many standardized tests, you can only request a rescore for essays or speaking. Are IELTS rescores like that too? Eliot: Yes and no. If you want an IELTS rescore, you actually can ask them to review your Listening or Reading scores. But it’s really rare for them to change scores in those sections– it almost never happens. The real focus of the rescore is writing or speech, just like rescores on other tests. Naomi: That makes sense. I mean, Listening and Reading are multiple choice, so…. Eliot: So there isn’t much room for human error in scoring those sections. But Speaking and Writing are scored by a rubric, and sometimes an extra set of eyes and ears can discover a scoring mistake. Naomi: Of course. But how often are rescore requests for IELTS Writing or IELTS Speaking successful? Do students really have much of a shot? Eliot: The majority of rescore requests don’t lead to a higher score, actually. But that doesn’t mean it’s not worth trying… under the right circumstances. In some cases, a student has an especially good chance at a favorable rescore. Naomi: OK, so what are some signs that a student should ask for a rescore? Eliot: Well, rescores are more likely to be helpful if the student needs just a small point increase in IELTS Writing or Speaking. When rescores are successful, they typically raise a section score by half a band, or by one full full band. A bigger score bump is pretty uncommon. Naomi: It sounds like unless a student needs a tiny boost to their score, maybe they shouldn’t bother? Eliot: Maybe, but not necessarily. Remember, rescores are designed to catch scoring mistakes. And sometimes mistakes can be bigger than just a single band. If you’ve taken the test and you really feel like your score should have been a lot higher, you might be right. 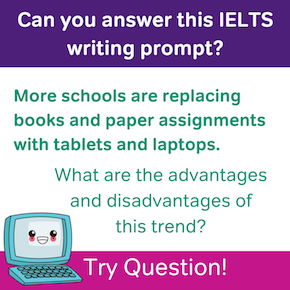 Let’s say you really felt good about your IELTS Writing tasks. You’d done a lot of practice tasks that were at a 7 or 7.5 level, and you felt like you kept up the good work on your exam. But then you got a score of, let’s say…. Eliot: That would be a good example! Imagine you’re a strong writer, and you feel like you brought your usual 7-to-8 level of skill to the test. But to your surprise, you get a 5. Maybe a truly big mistake was made. You just might get a 7 or higher with a rescore. Naomi: I’m starting to get the idea here! There are different reasons you might want to go for a rescore. Eliot: Right! A rescore might help if all you need is a slightly higher score in IELTS Speaking or Writing. But it could also help if you’re pretty sure that the scoring was way off. Naomi: Interesting. Is there anything else students should consider? Naomi: Before we look at what else students should think about if they’re considering an IELTS rescore, let’s pause for a word from Magoosh. 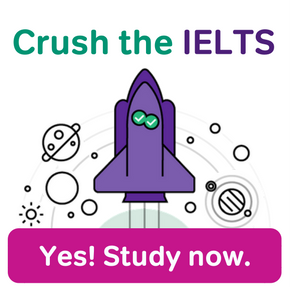 Eliot: We’ve definitely already covered the two most important considerations: how big of a change do you need, and how sure are you that the IELTS really got your score wrong. But there are definitely other things to think about too. The rescore timeline for example. Naomi: The timeline? You mean how long it takes for the IELTS to make a rescore decision? Eliot: Yes. It takes the IELTS 6-8 weeks to review scores. So if the student needs their final IELTS scores sooner than that, there might simply not be time for a rescore. And there’s another time limit of sorts too. The IELTS only allows for rescore requests in the six weeks after you take the test. Naomi: Wait– I heard it takes two weeks to get your first score report. Does the 6 week deadline start right after you take the test, or after you get your first set of scores? Eliot: It starts right after the test. So in a way, you only have four weeks and one day to make a rescore decision, since it takes 13 days for regular exam scores to come out. But there’s more to consider than just time…. Naomi: What else should students be thinking about, besides timelines? Eliot: Cost! That’s a big one. The fees for rescore vary a lot, and students need to check with their test center to get their exact price. But I can tell you this: the cost is generally high. A rescore can cost about as much as an actual IELTS testing fee. Naomi: Hold on… you’re saying that a retake and a rescore might cost the same thing? Eliot: That is a good way to look at it, Naomi. The cost of a rescore and a retake really can be similar, and it can take a month or more to get new scores either way. And that brings me to the final thing students should consider. Can you guess what it is? Naomi: I’m going to say they should think about rescore versus retake. Did I get that right, Eliot? Eliot: You sure did–I like the way you’re thinking. Basically, a rescore and a retake are the two ways you can improve your IELTS score. Now, if you’re just a point or two shy of the score you need, a rescore might do the trick. But taking a little extra study time and then sitting for the exam again also give you a good chance of boosting your score at least by a little bit. So if you have enough time to study for a retake in the coming weeks, it might be better. Naomi: But maybe if students are too busy to keep studying, a rescore is a good option… because then they could potentially raise their score without having to keep studying and take the test again. Eliot: Exactly! And if a student is really sure they got the wrong score, a rescore is probably better than a retake, since rescores are designed to correct scoring mistakes. Naomi: So what did you think? If you need to look at these tips again, check out the show notes for a transcript of this episode and links to the resources we mentioned.